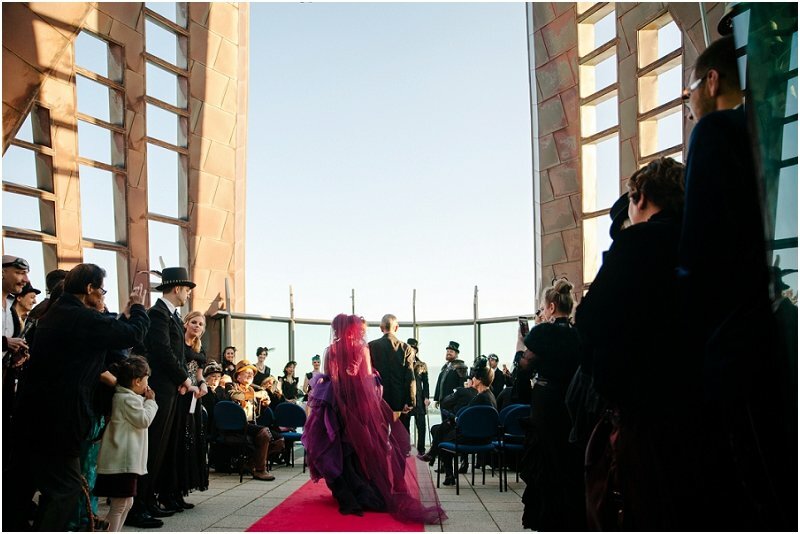 We always try to stress to couples that there is no right or wrong way to do your wedding. 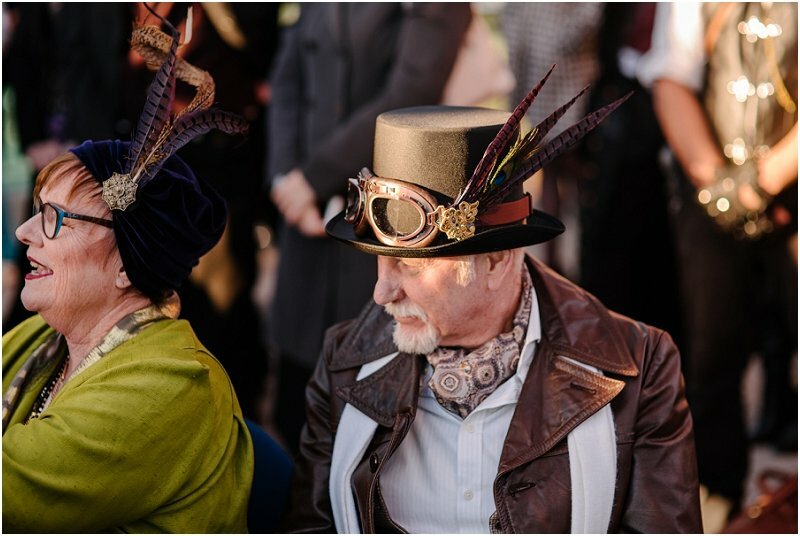 Feel free to express yourselves, and as long as you feed people, and they have fun, it's all good. 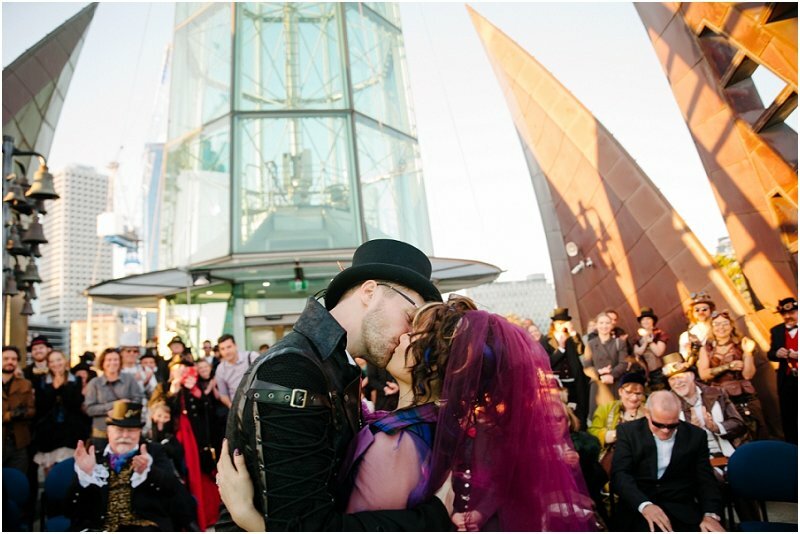 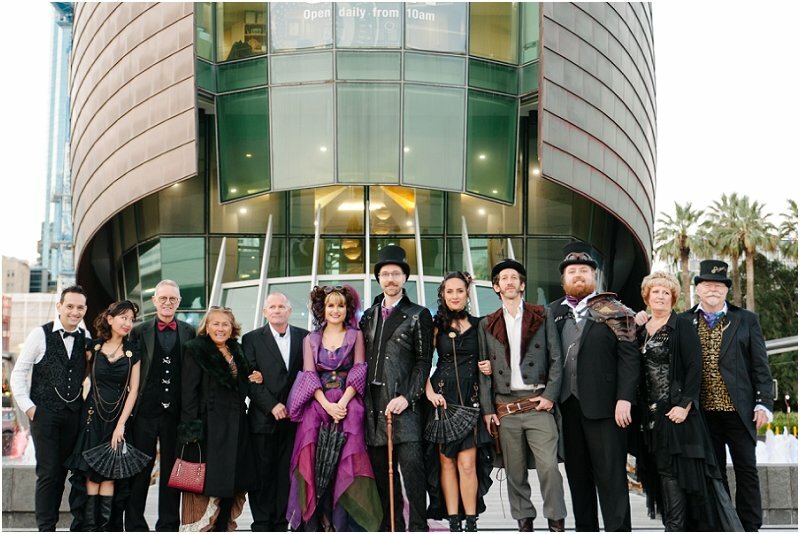 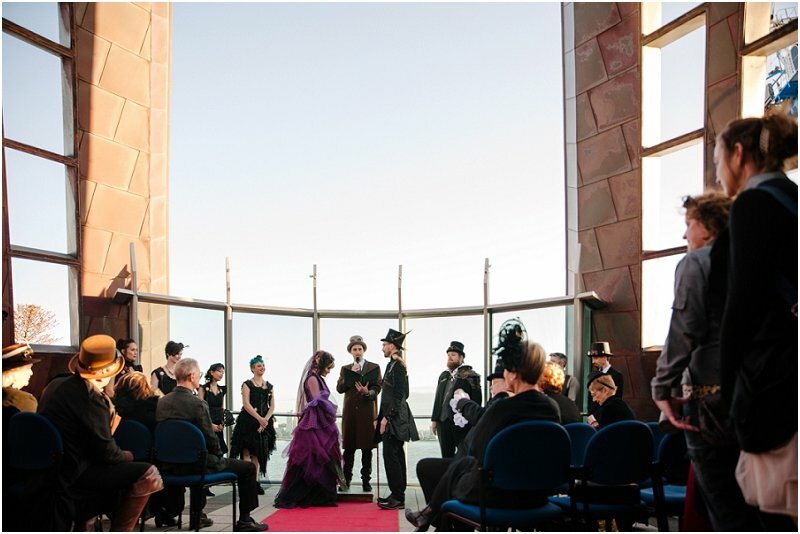 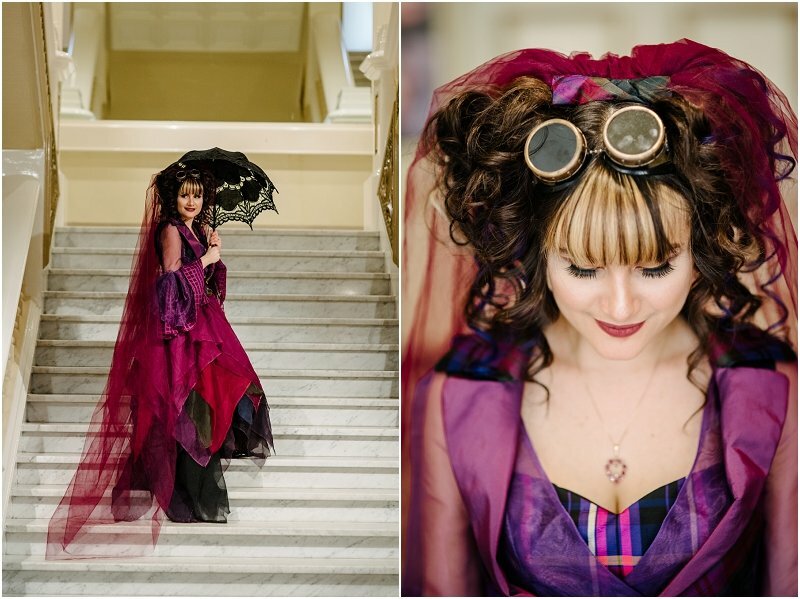 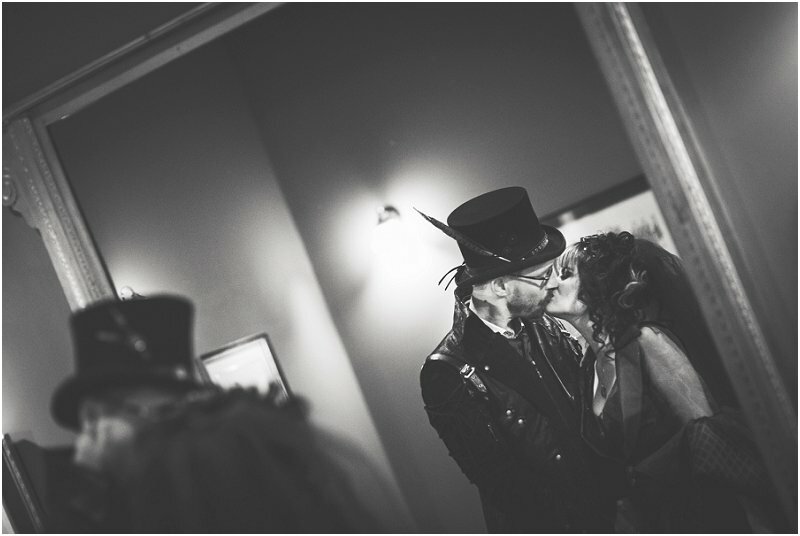 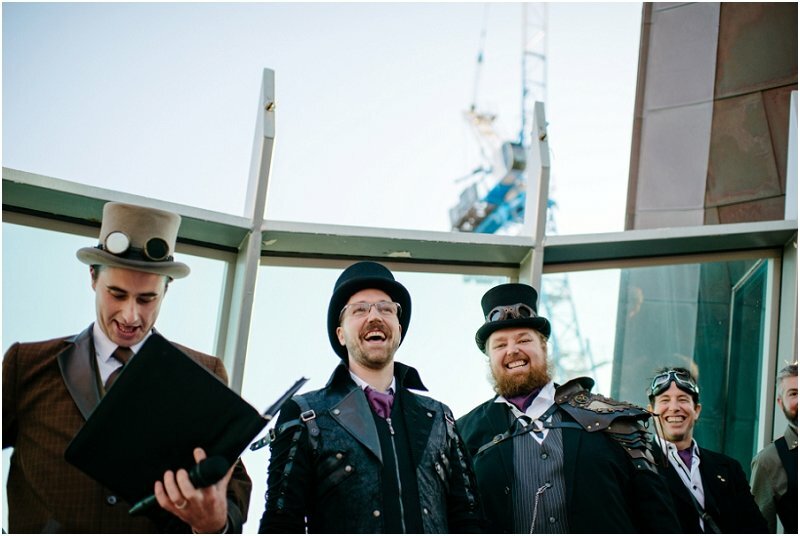 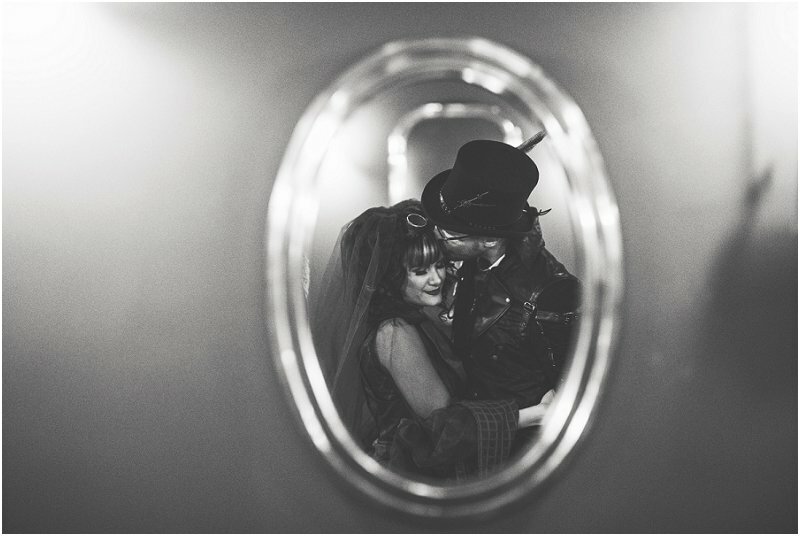 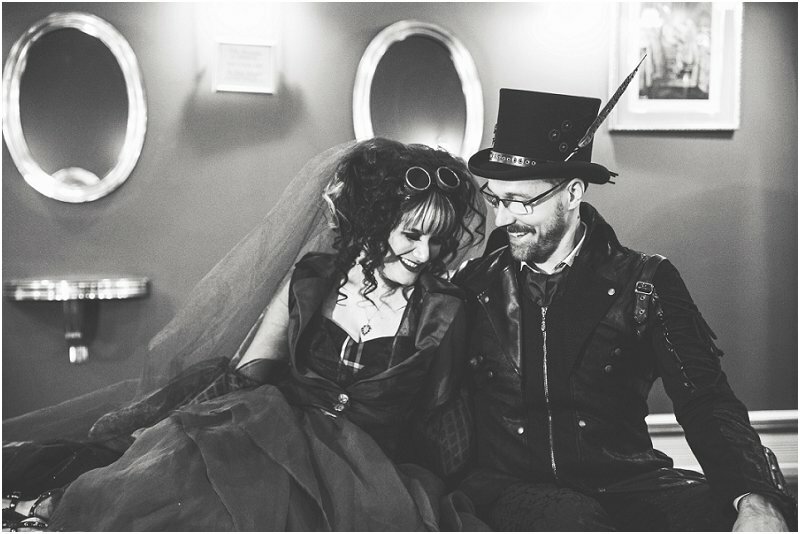 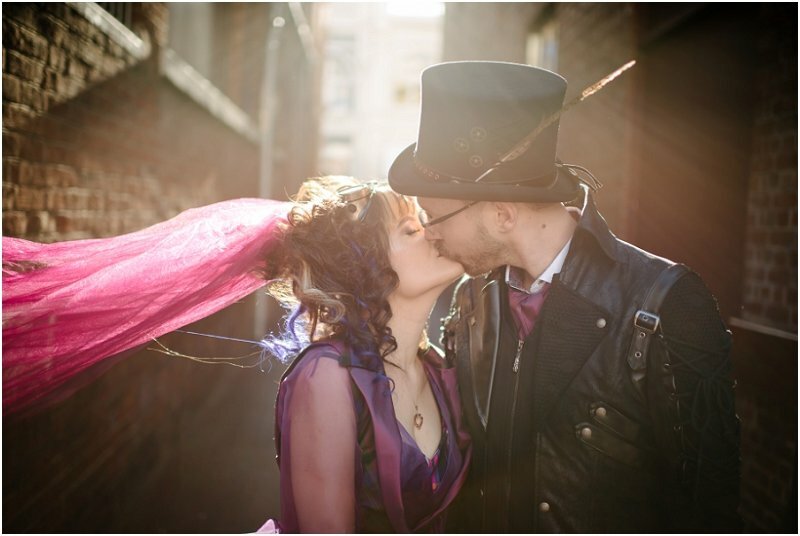 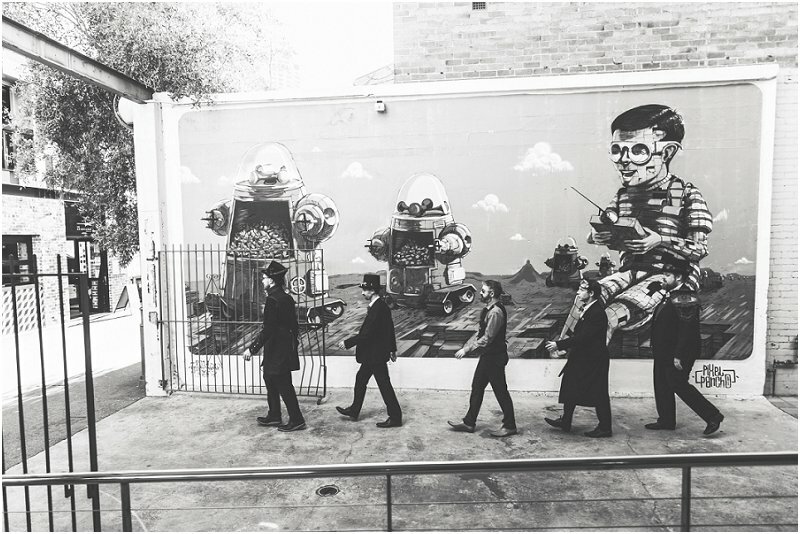 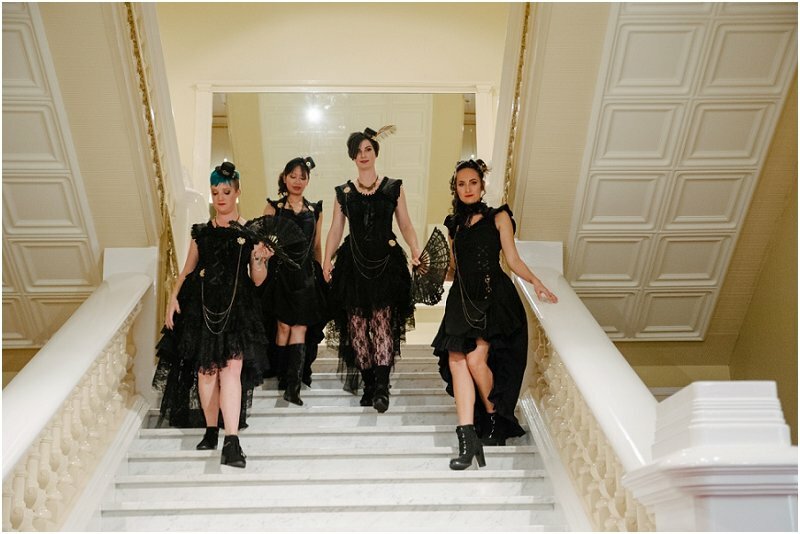 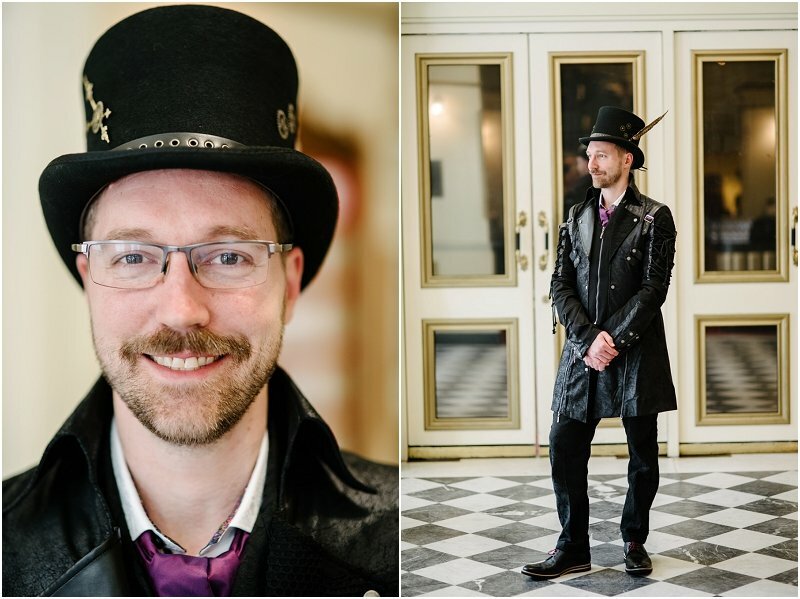 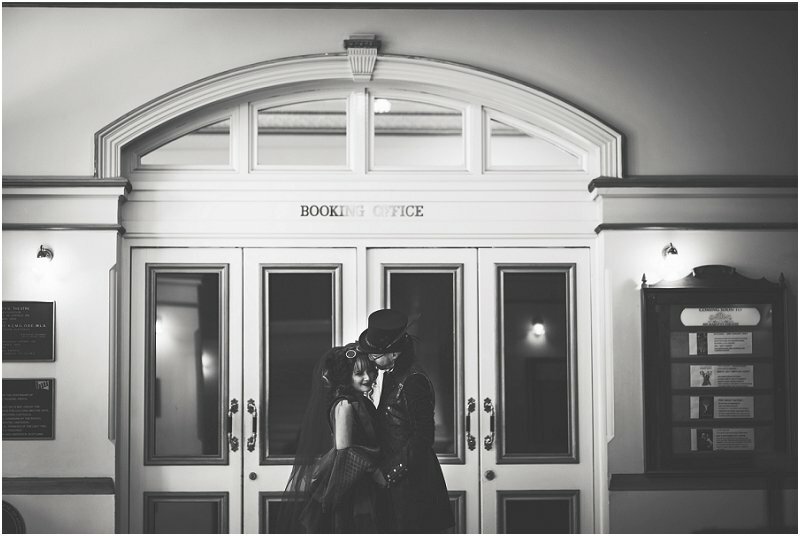 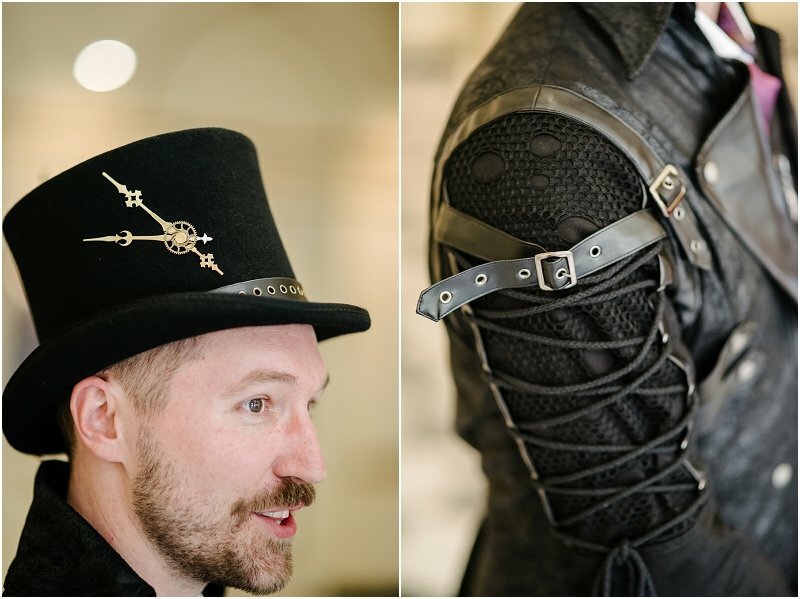 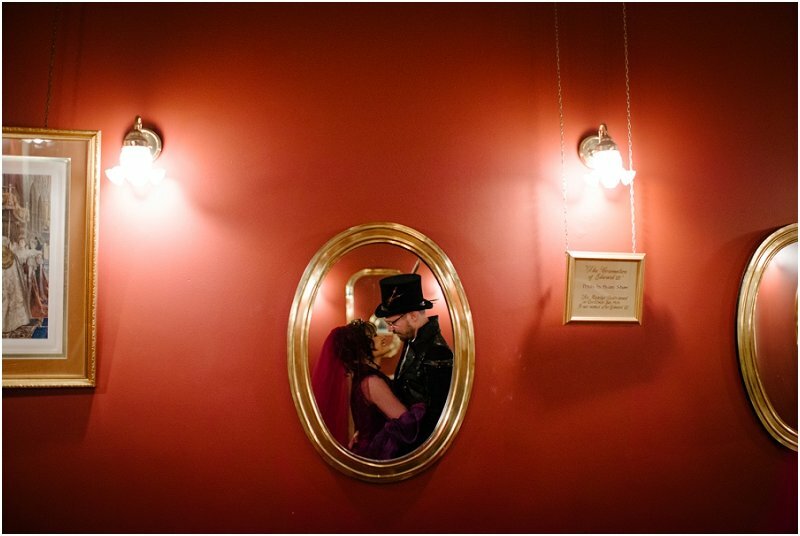 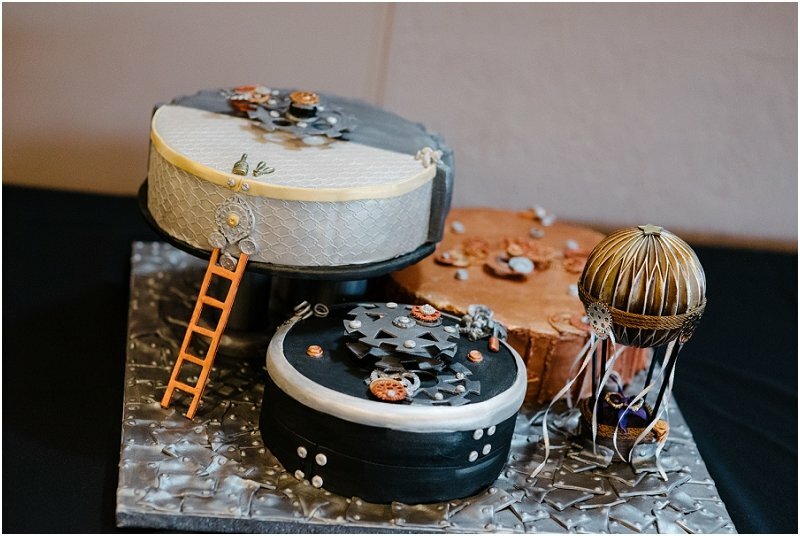 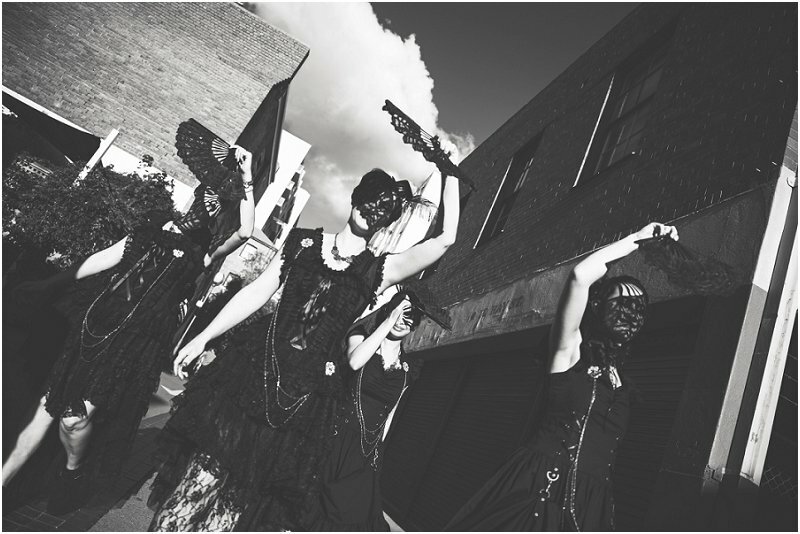 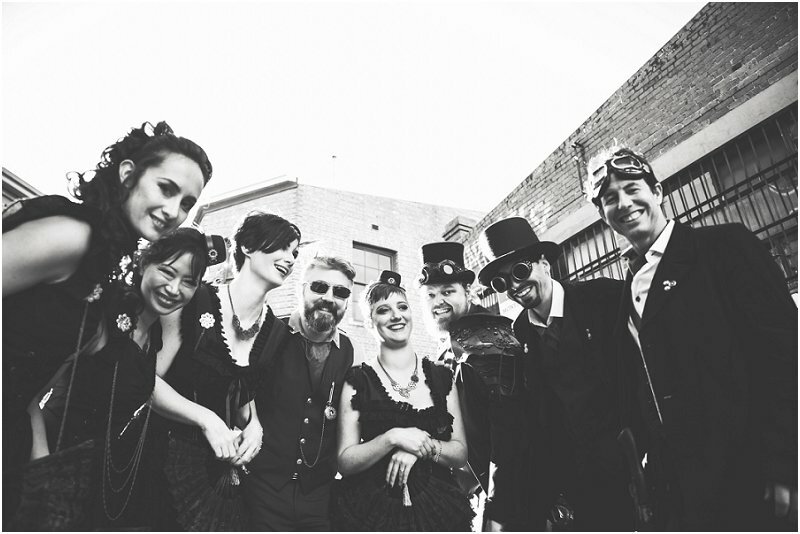 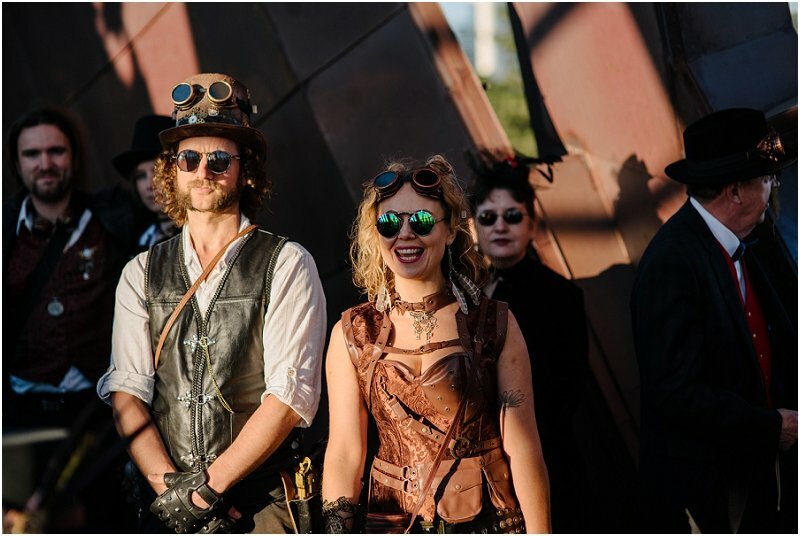 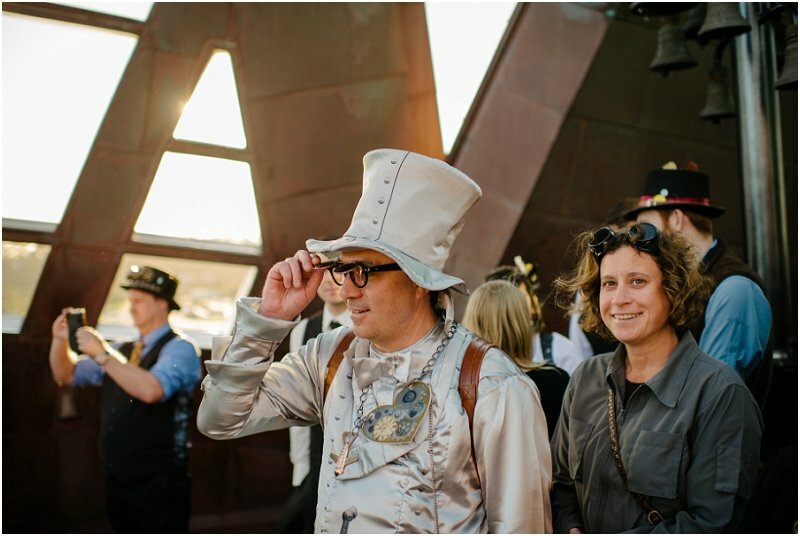 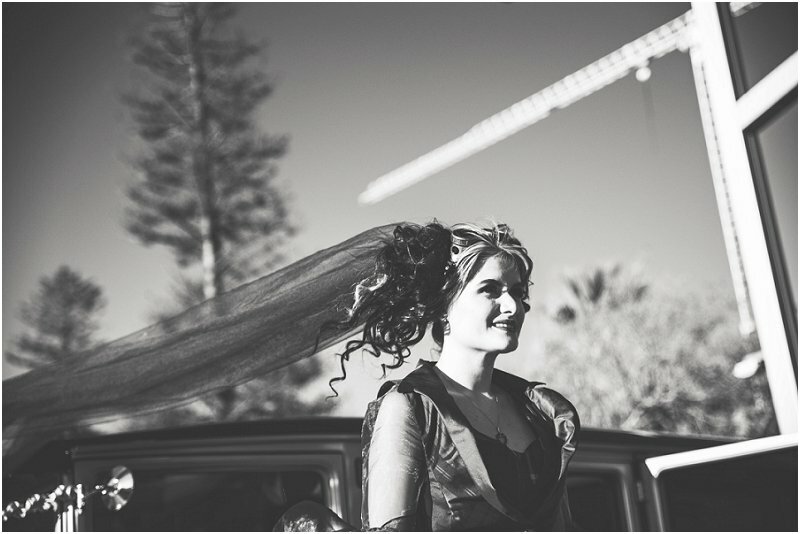 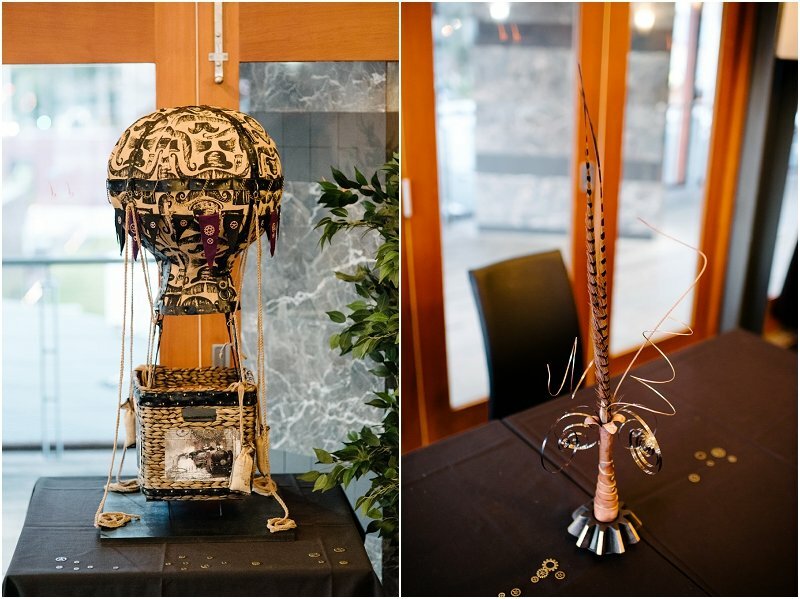 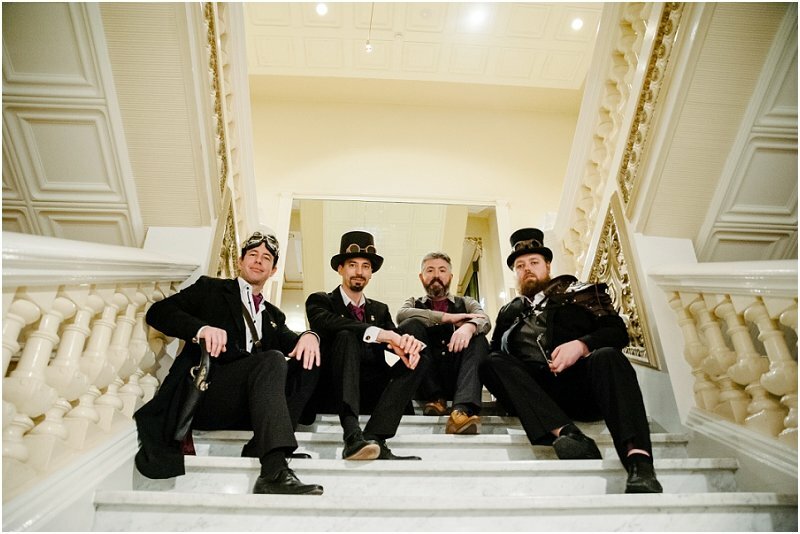 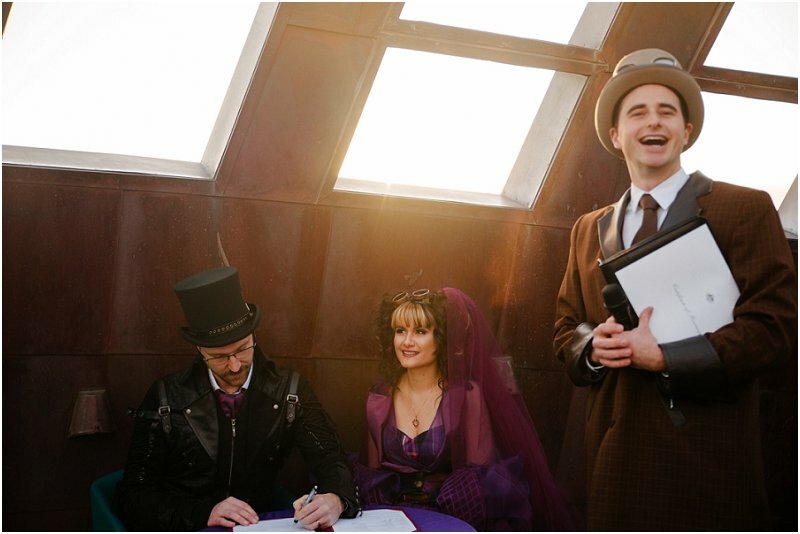 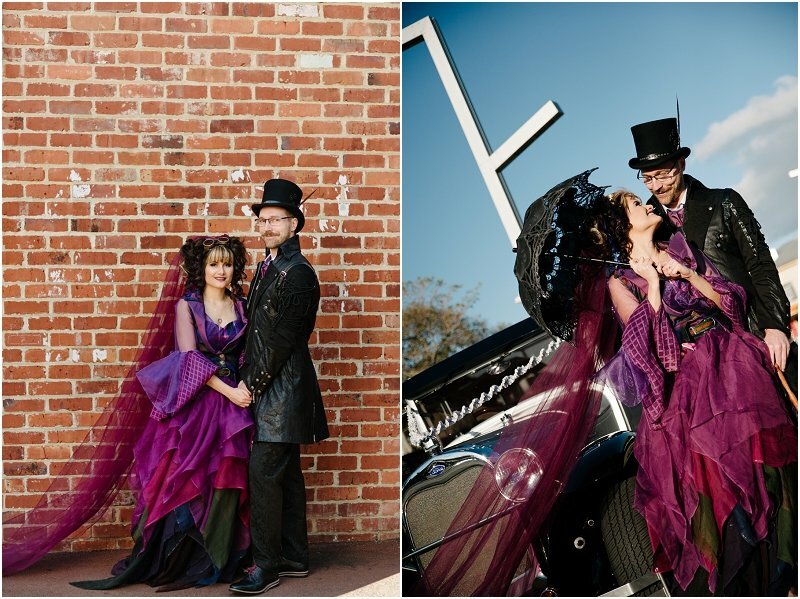 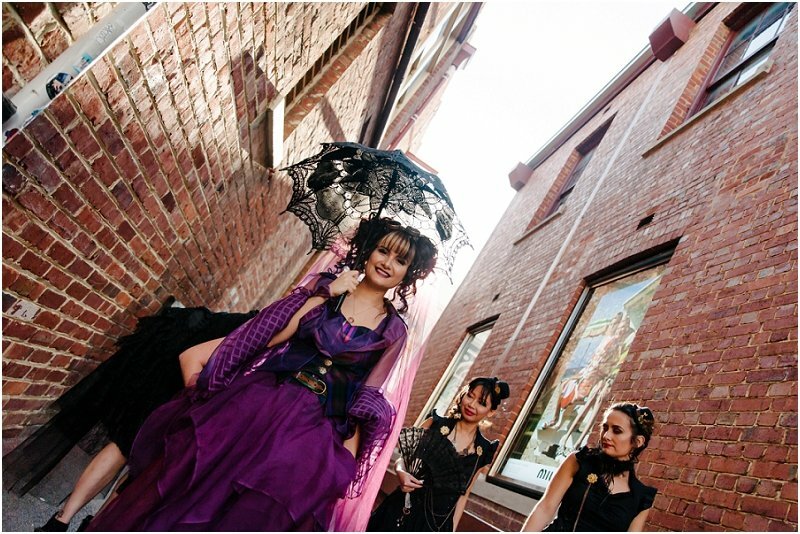 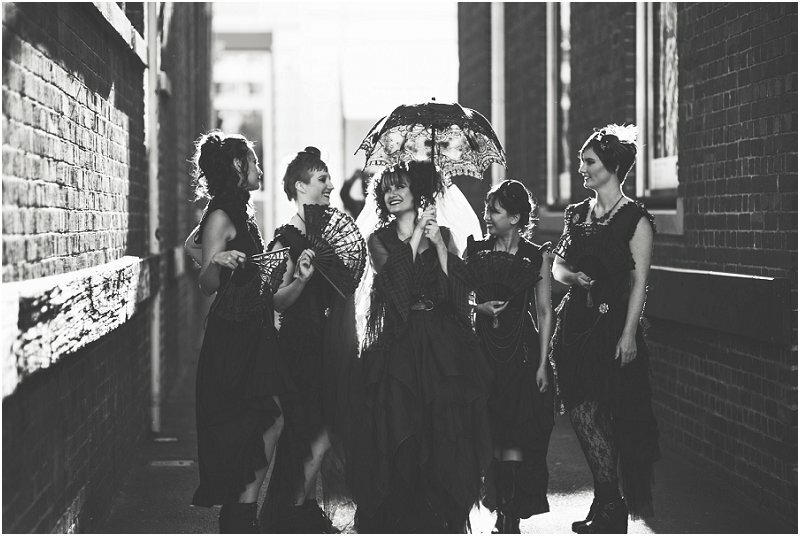 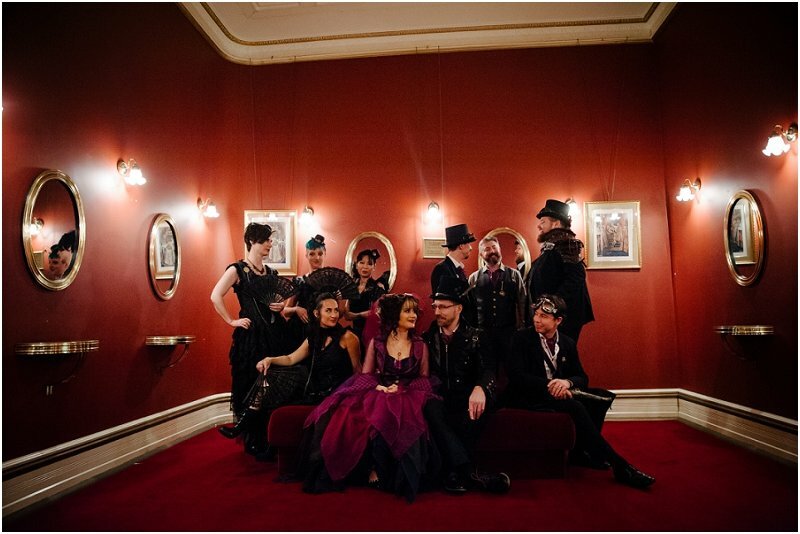 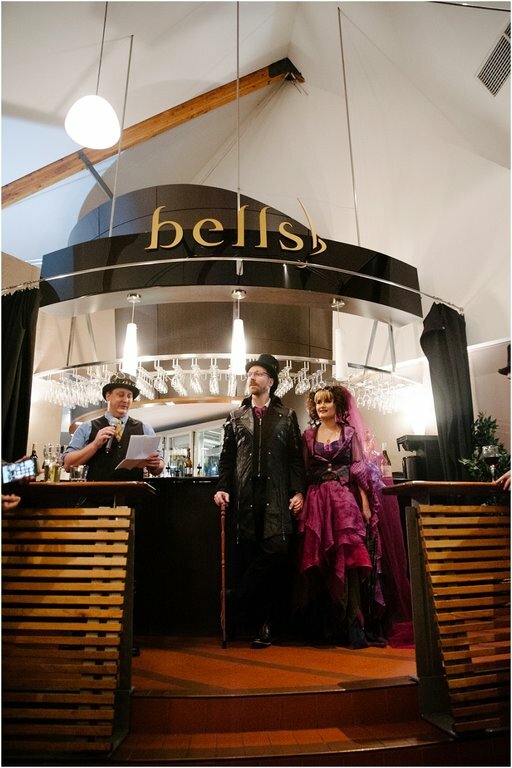 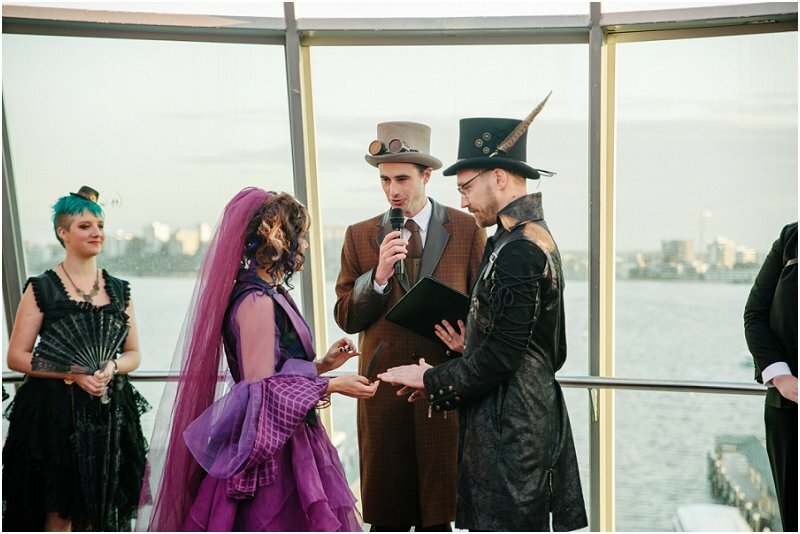 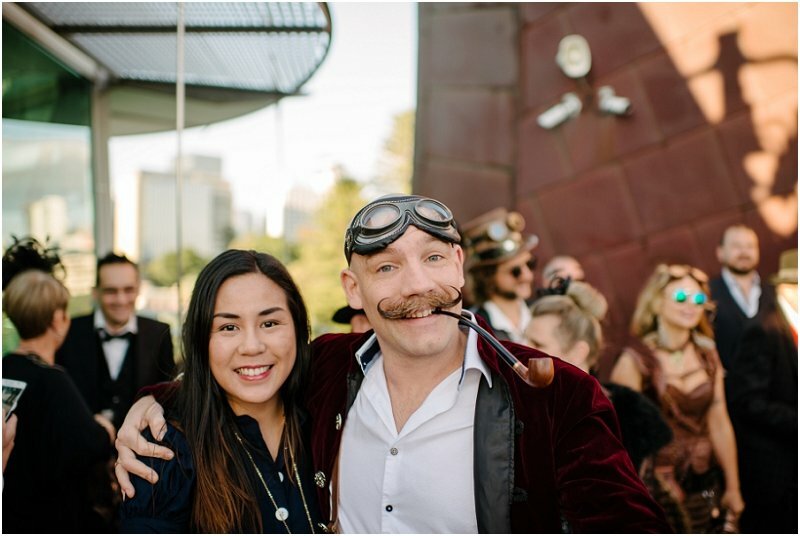 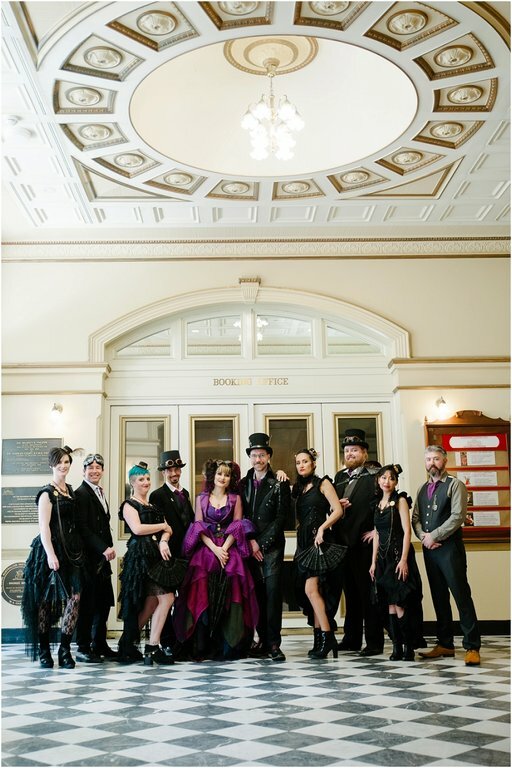 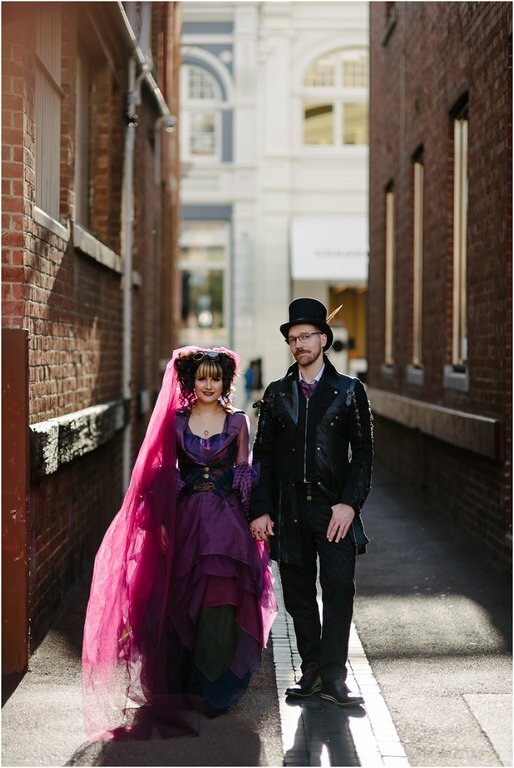 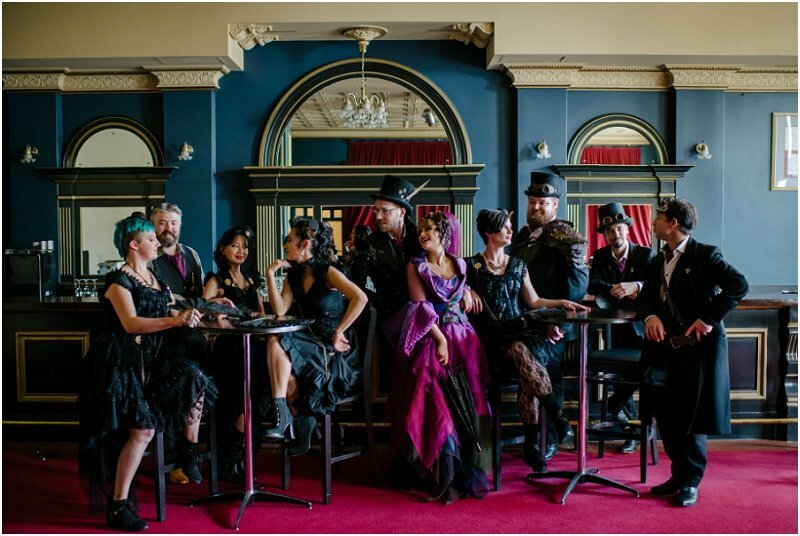 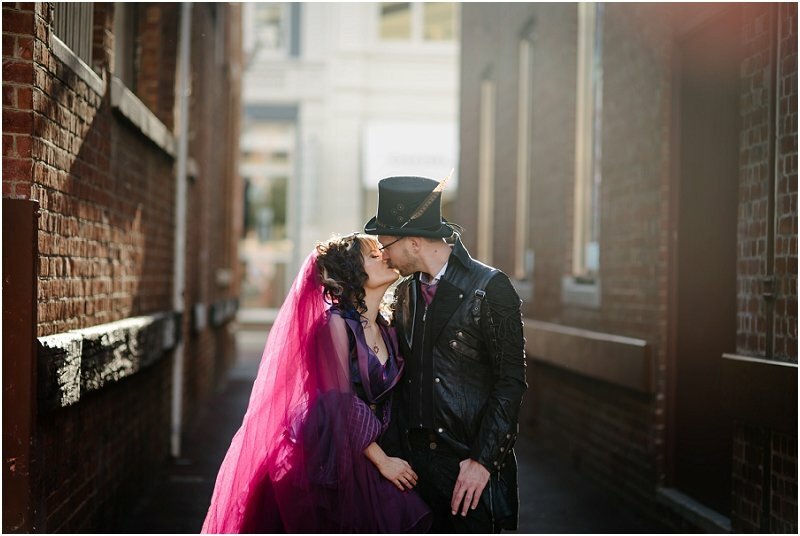 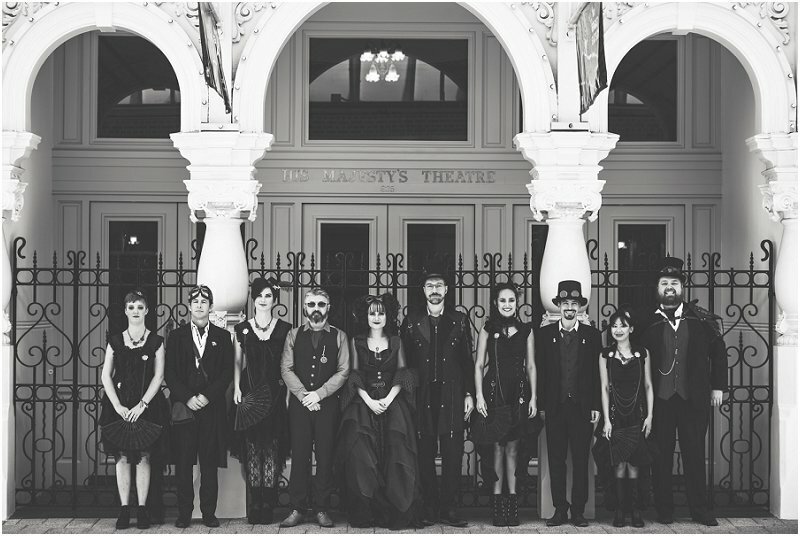 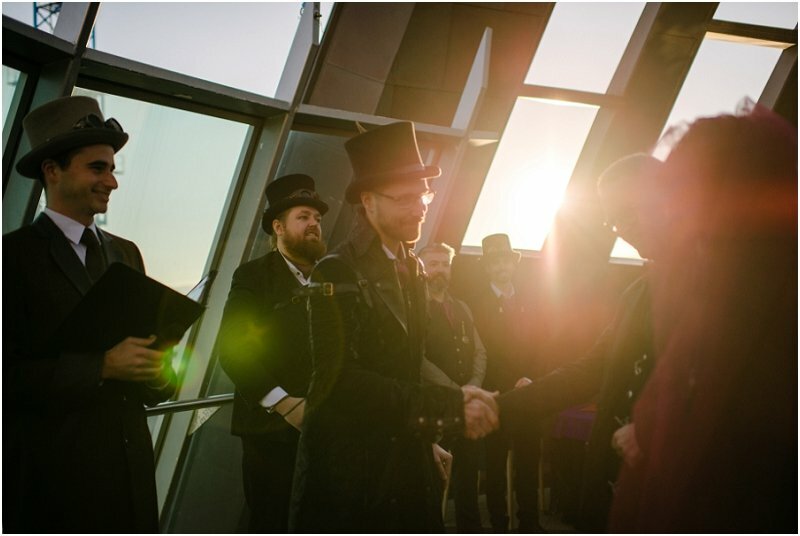 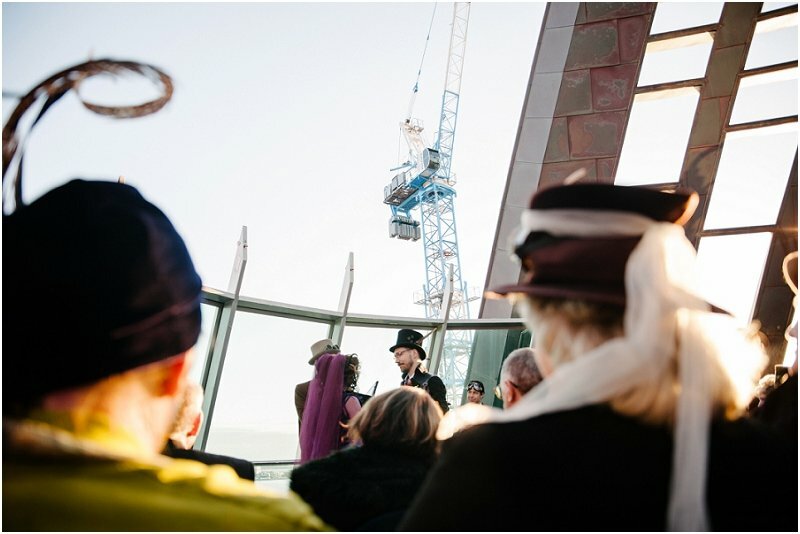 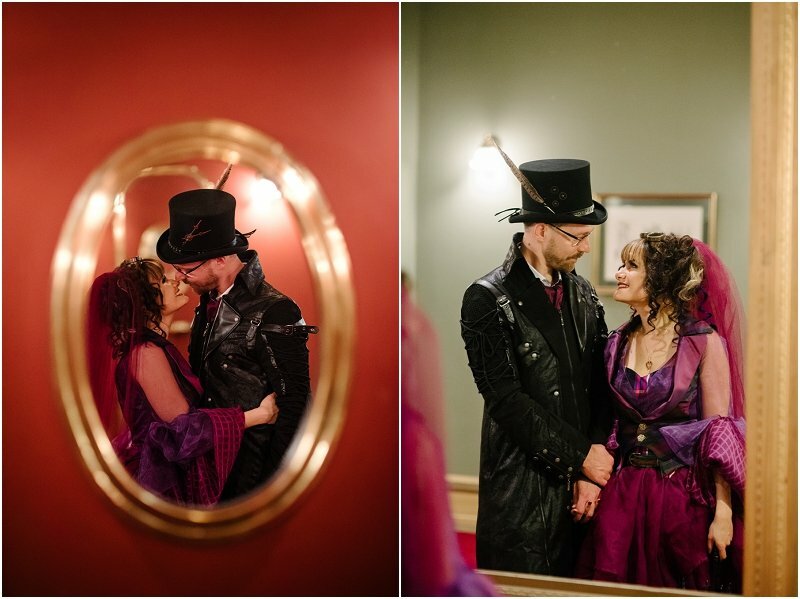 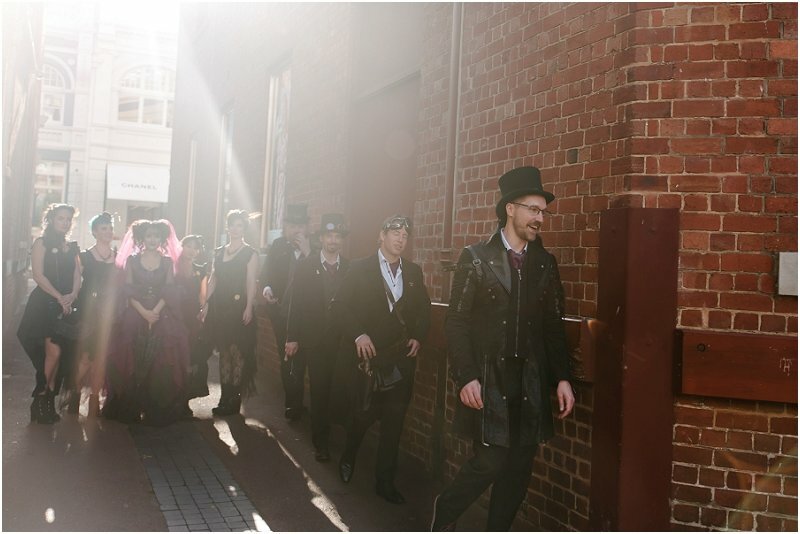 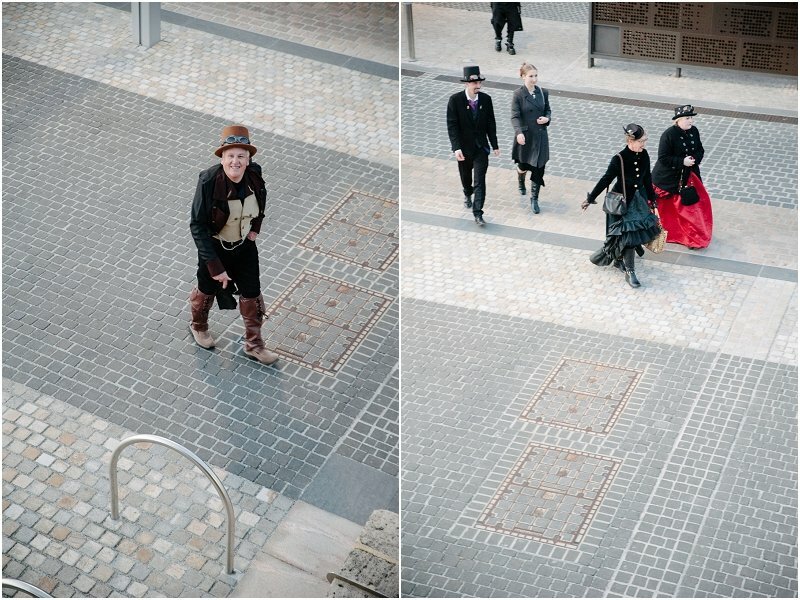 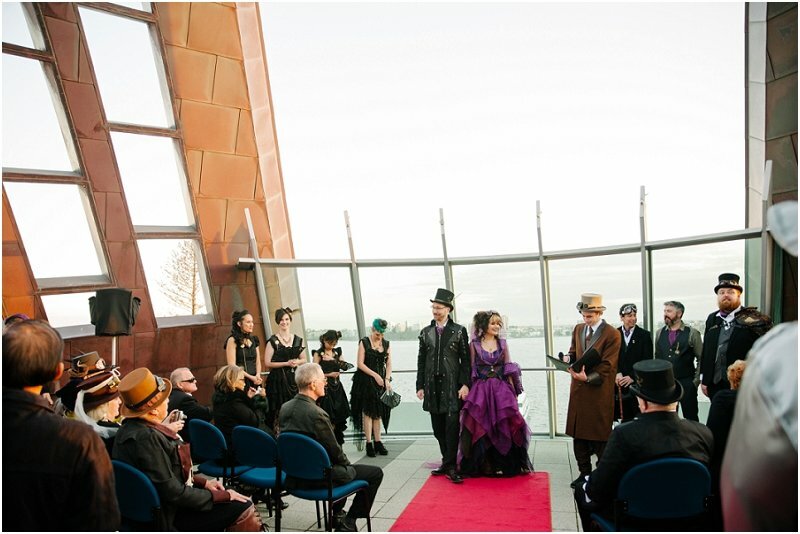 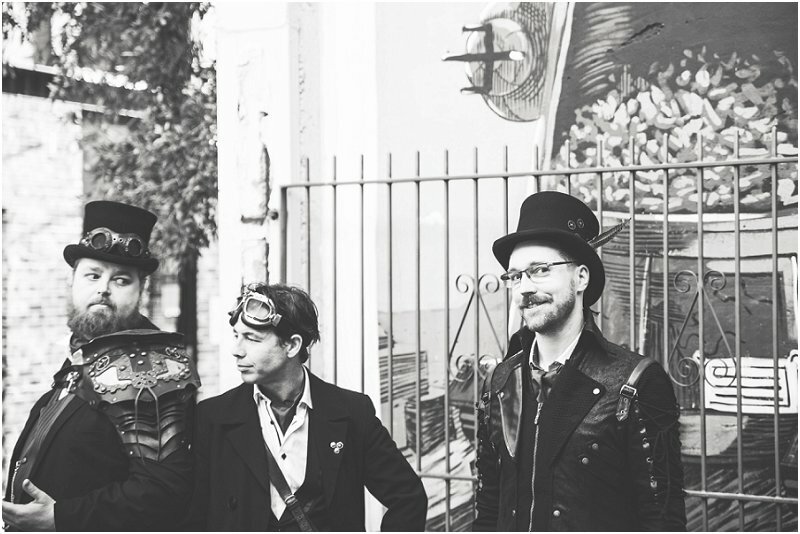 Case in point - the amazing Steampunk wedding rocked by Zalina and Lee. 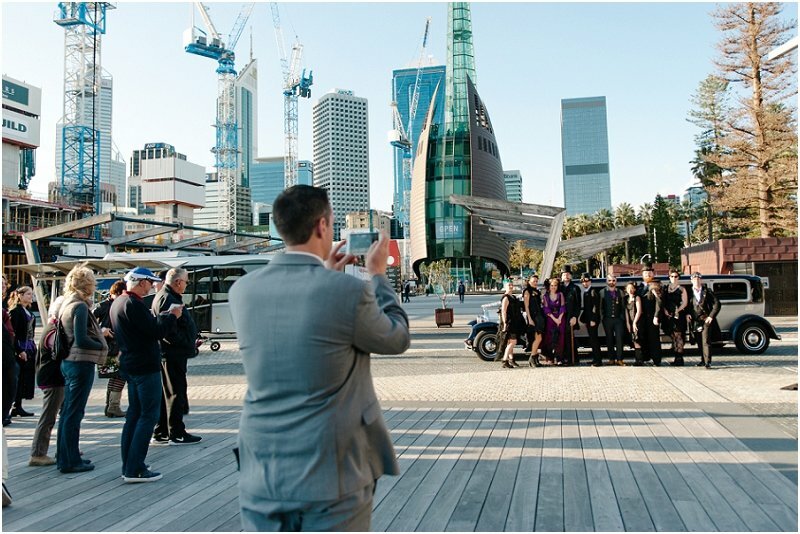 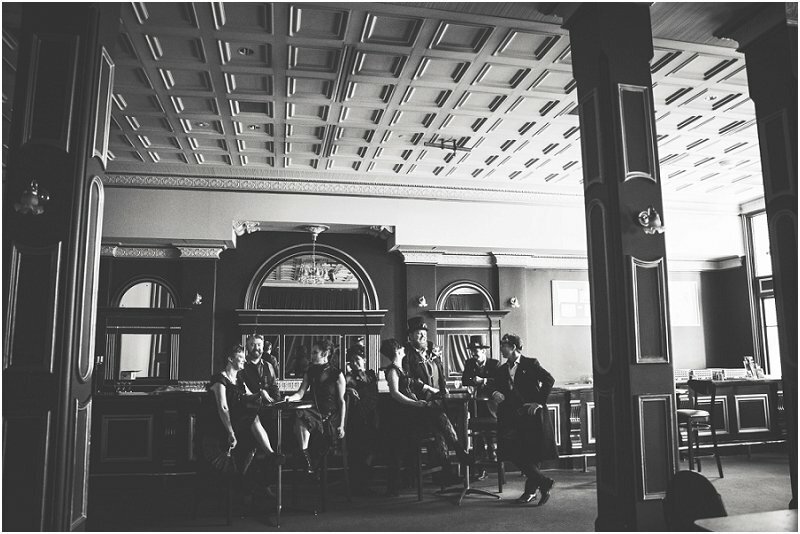 We still don't know how they got everyone, from the bridal party to their older relatives to get fully dressed up, although, it's such an amazing theme, it's no wonder everyone got excited about it. 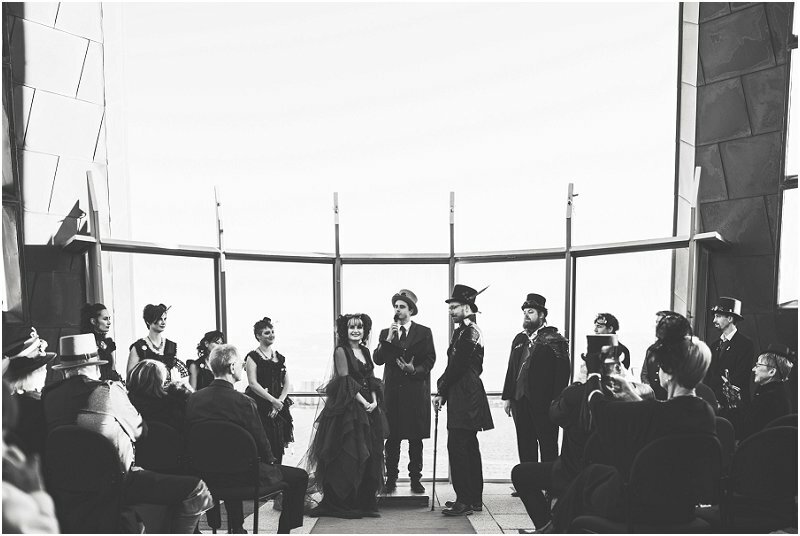 And how amazing did everybody look!? 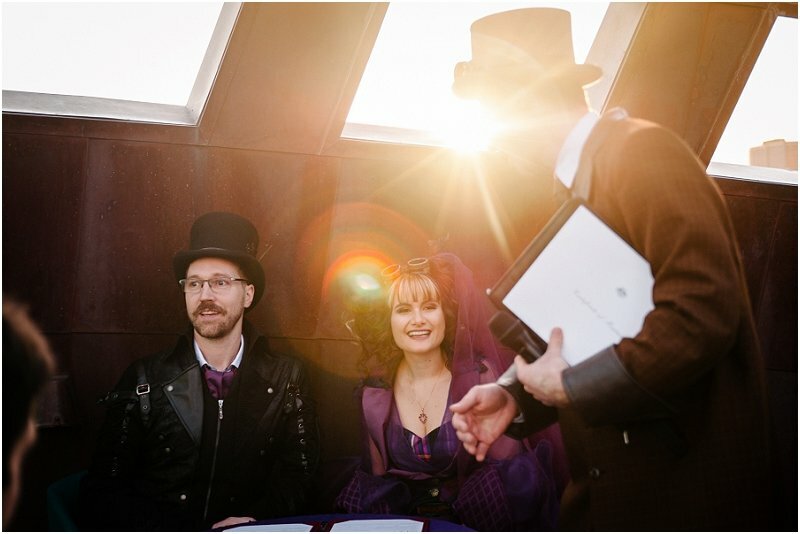 EvenAndrew the celebrant was in full costume. 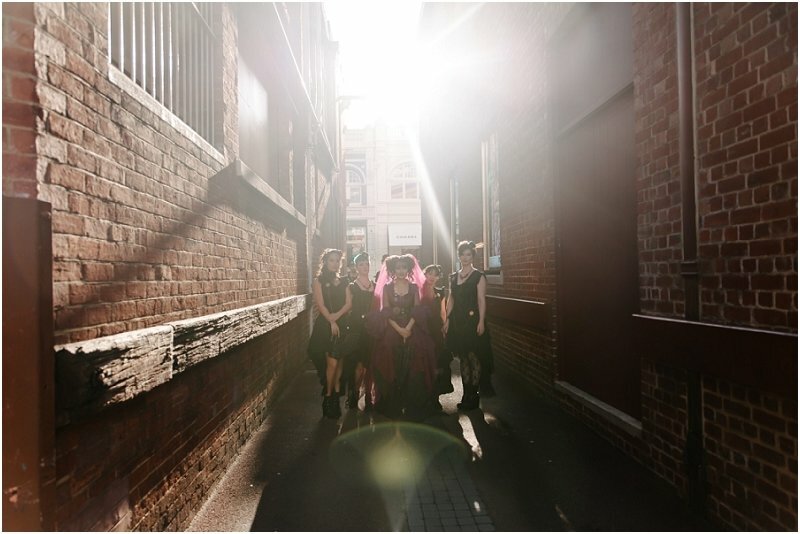 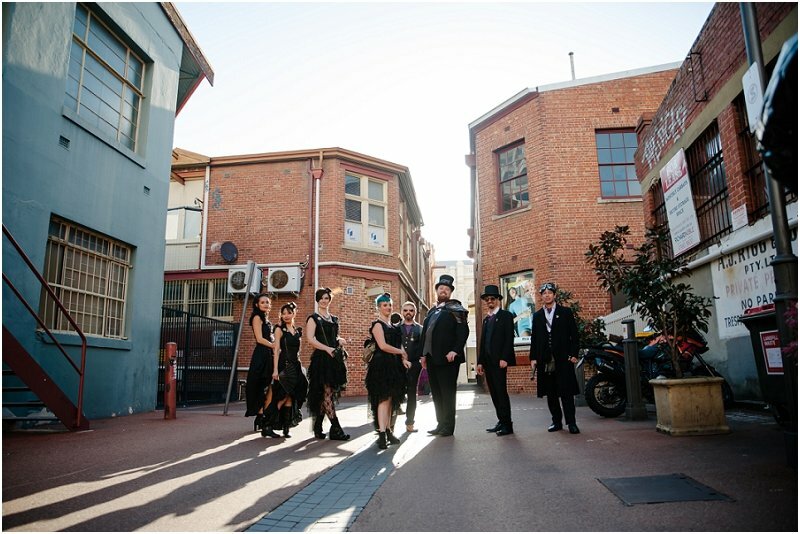 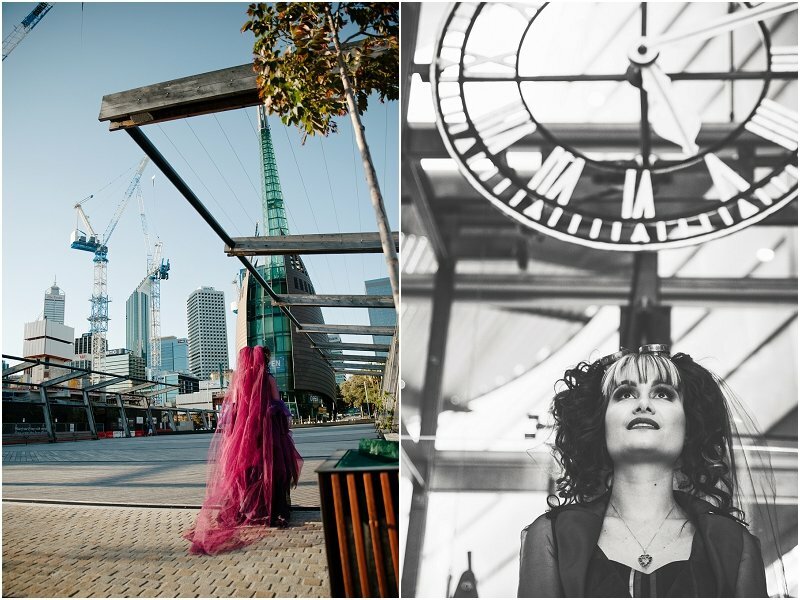 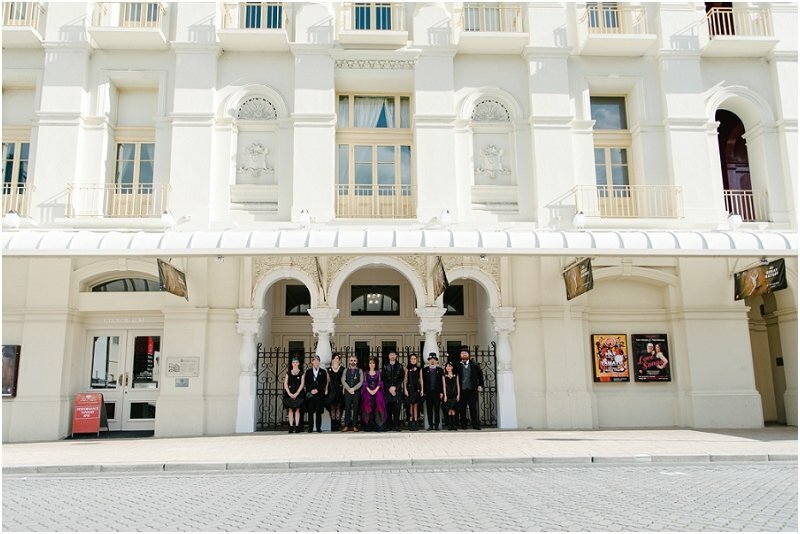 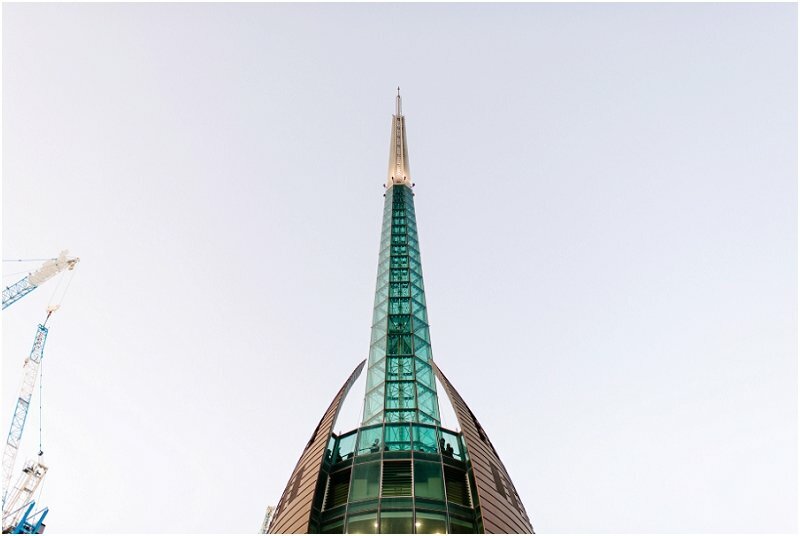 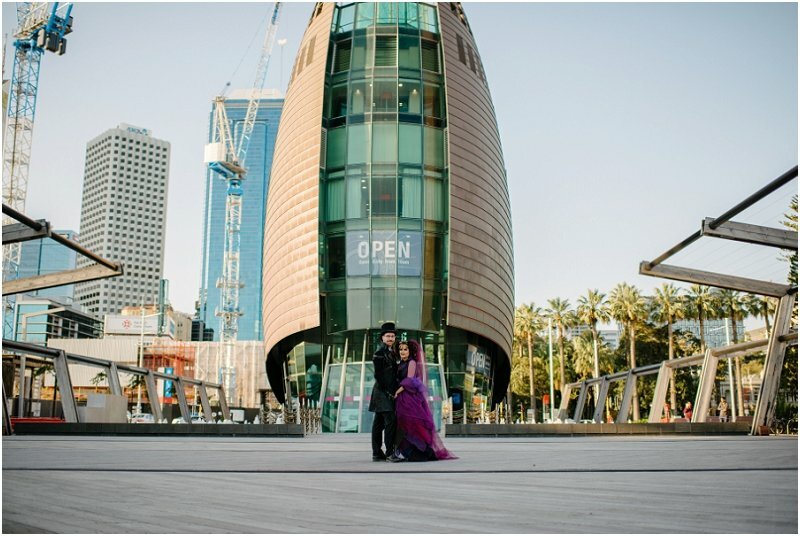 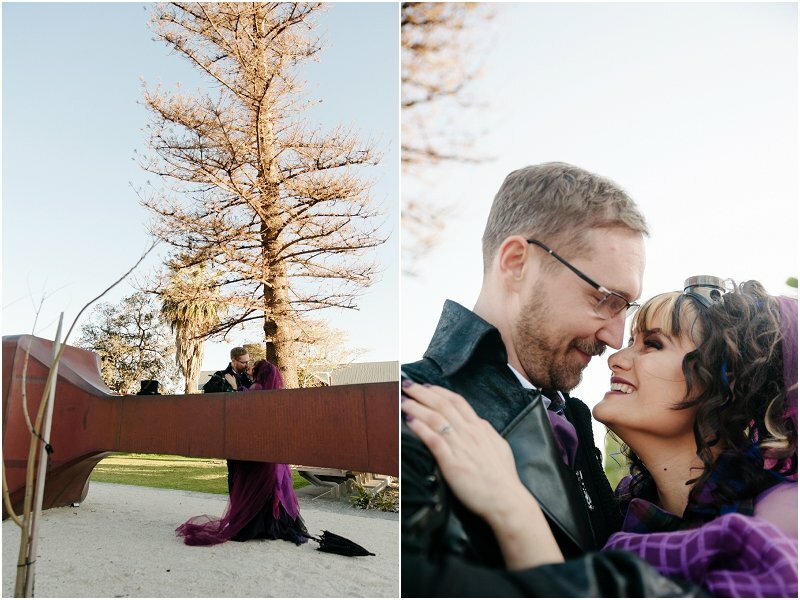 Feast your eyes on the dresses and details, and the wonderful locations we went to starting with His Majesty's Theatre, onto Wolf Lane, ceremony at the Bell Tower and finally to reception at the Bells Function Centre.